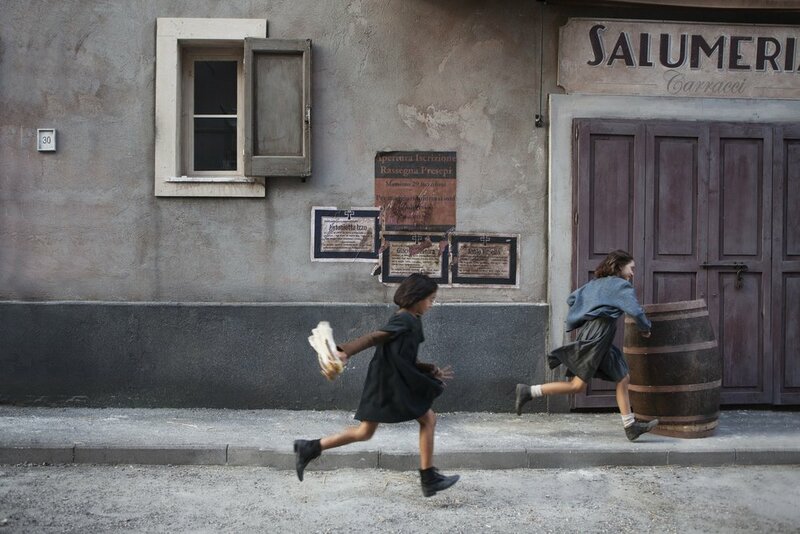 The opening scene of Episode 1 (of 8) of My Brilliant Friend co-produced by HBO and RAI is the rupture of a life, and of the lives attached to it. Even more than a suicide, a disappearance is an assault against those who remain. 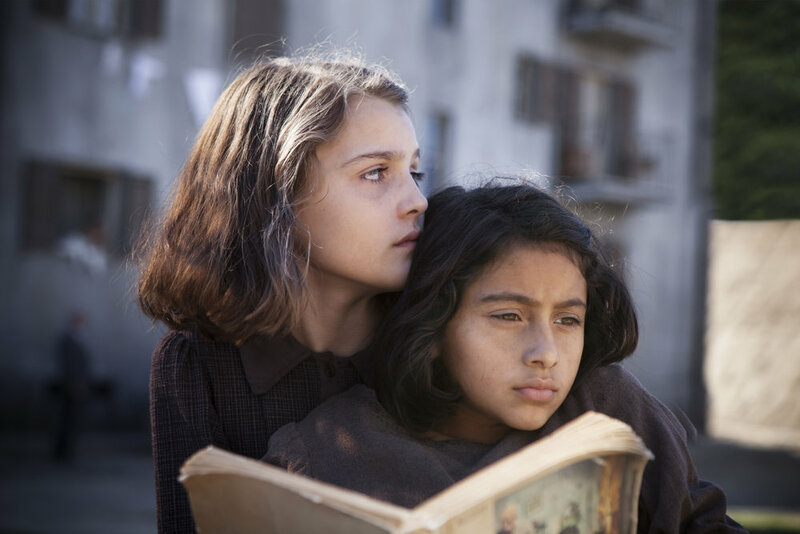 My Brilliant Friend is the now infamous first of four Elena Ferrante novels which depicts a friendship between two women beginning in the 1950s in a small town outside of Naples. Ferrante, a nom de plume, has chosen to remain anonymous. 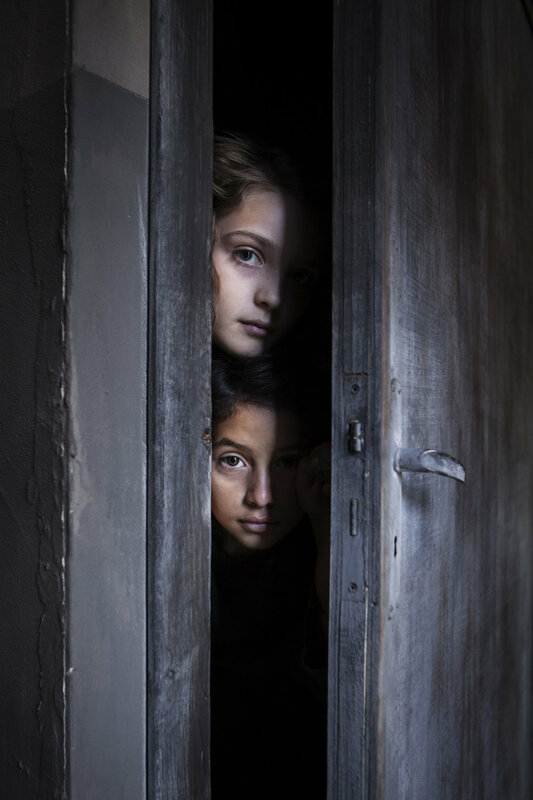 In collaboration with the director Saverio Costanzo (known in the US mostly for In Treatment), she has brought this moving and remarkable series to life. I first read the novels as they appeared in English while I was in Europe for work, so I felt especially connected to the text. It was edge-of-my-bed reading as it reminded me of a long friendship I had which had gone awry without my knowing exactly how. I believe each person who views the film, especially women, will find something of their friendships therein. The opening scene sets the dynamic between the two friends: the greater admiration, and subsequent love of one girl for another. The relationship is always recalibrating. But in the end, like any love relationship, one person has more power. The lyricism of the series is expressed in ways large and small. The entire complex of buildings around which many of the early chapters revolve is a perfect, claustrophobic reconstruction of the incestuous village. Every detail has been attended to: the austere gray buildings bulging with cooking and arguing, the uniforms of the schoolchildren as they stand at attention, the muted colors of their vintage hand knit wool sweaters. It is post-war Naples (Caserta is the body double). Poverty is rampant, the infrastructure of Italy in tatters. The church and the court are the only civic institutions with any residual heft. The lives of the families who live atop each other and from whose balconies we see everything from romance to violence are thoroughly interdependent and yet straining to break free of historical feuds and alliances. The series is in Italian, dubbed, and traditional in a way that one can only now treasure as productions of this kind are increasingly rare. Do not let that put you off! Luca Guadagnino tries, but he doesn’t have the narrative heft to compete with this. The series affirms what I felt when I read the novels: a female Godfather. 8,000 Campanians turned out to audition for the roles. The four girls who play the friends at different ages were amateurs, but from the region. I imagine Elena Ferrante was instrumental in that decision. The Neapolitan dialect just makes it that much more authentic, it’s a fully Italian production, above and below the line. The series moves from Lenu’s (Elisa Del Genio) notification about the disappearance of Lila (Ludovica Nasti) into flashback and voice-over. Don’t let anyone ever tell you voice-over is dead and out of fashion. Here, there is no better way to keep Ferrante’s voice front and center. Lenu and Lila who are aware of each other from being the smartest girls in their class, witness an old family feud finally reaching desperate measures as thugs are hired to rough up a neighbor whose store has been remanded. It is there, first silently tied in their horror and disgust over the incident which begins during a church service and then after a rock fight between Lila and the neighborhood boys that they are joined together against the injustice of Don Achille, the local bully and enforcer, and hyperaware of each others every move and decision. Lila was “firm”. Lenu felt herself unable to “stick” to things. But they get money from Don Achille for ‘capturing’ their dolls and trade up to a book at Lila’s suggestion: Little Women. This truly opens their eyes to the world of storytelling and the power a woman can have through words instead of violence. Their families are against their going on to middle school as they are poor and uneducated. Lenu manages with the support of her teacher to go all the way through high school; Lila is an autodidact who actually is always one step ahead of her. The girls are a fountain of baleful stares, verge of tears, incandescent smiles, holding hands, hiding money and hiding their feelings, one dark and small a bundle of contradictory impulses, the other taller and fair, more circumspect. The families are individuals. Stereotypical and yet not. Lenu’s mother looks like a Picasso—and the faces are mostly haggard, as if the war also erased any beauty, run dry like the dessicated land and the bombed-out buildings. The girls stand out, especially Lila who grows into her beauty and her overt sexuality. I became impatient from time to time with Lenu’s passivity and naivete. It’s not something I remember quite so keenly from the book. The screen lights up instead every time Lila is on screen and we, along with Lenu, wait for her return. But it’s a quibble. They have done real justice to the novels, and to the whole notion of what a true friendship really means. The series premieres on HBO on Sunday and Monday November 18/19 and follows in that pattern in the following weeks. Do not miss it. All images by Eduardo Castaldo, courtesy of HBO.